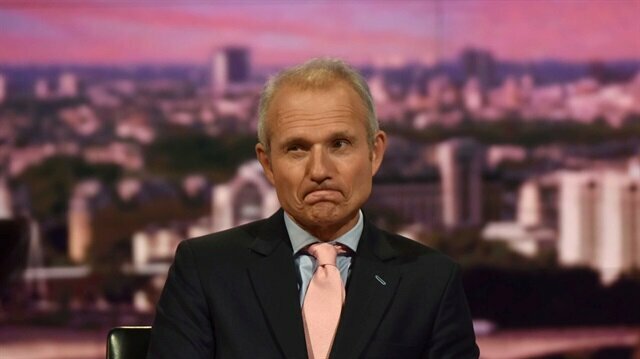 Britain's vast services industry must be able to diverge from European Union rules after Brexit because there is a risk of "unwelcome measures" that may undermine the sector, Cabinet Office minister David Lidington said on Wednesday. "The reason why we are proposing to treat services differently is because it is in services where regulatory flexibility matters most for both current and future trading opportunities," Lidington told parliament. "While the EU acquis on goods has been stable for about 30 years, the EU acquis on services has not been and the risk of unwelcome EU measures coming into play through the acquis on services is much greater." British Prime Minister Theresa May holds a meeting of her cabinet on Tuesday, a day after her government was thrown into turmoil when two senior ministers quit in protest at her plans for trade ties with the European Union after Brexit.Foreign Secretary Boris Johnson and Brexit minister David Davis resigned within hours of each other, denouncing a plan that the cabinet had only agreed on Friday, and fuelling speculation that May could face a leadership challenge.China's Xi pledges $20 bln in loans to revive Middle EastHowever, at a meeting with her Conservative Party lawmakers, she was cheered and applauded by many as she warned them that internal squabbling could pave the way for socialist opposition leader Jeremy Corbyn to take power instead.After the meeting, senior lawmakers said they did not expect the prime minister to face a vote of no confidence, although some Conservatives were still saying that she should go.UK PM May appoints Jeremy Hunt as new foreign ministerMay's proposals for a future EU relationship after Britain departs from the bloc next March had taken two-years of internal government wrangling to agree, but within 48 hours Johnson and Davis had resigned saying they could not back the plans. Three junior ministers also quit their posts. "Brexit should be about opportunity and hope," Johnson said in a scathing resignation letter that was echoed in headlines in a number of Britain's national newspapers. "That dream is dying, suffocated by needless self-doubt. "May, having finally signalled her vision for Brexit, spent two hours in parliament defiantly defending the plans and called for Brussels to engage fully or risk the damaging prospect of Britain leaving the bloc with no deal in place. "I've listened to every possible idea and every possible version of Brexit. This is the right Brexit," she said.May's personal authority was badly damaged after she called a snap election last year to strengthen her hand in Brexit talks but instead she lost her parliamentary majority meaning she has to rely on a small Northern Irish party to govern.While other senior ministers rallied round her after the resignations which left Westminster reeling on Monday, rumblings of discontent among rank and file lawmakers remained.The Sun, Britain's biggest-selling newspaper, said there had been "blunder after blunder" by May. "Now there is chaos," the paper said in its editorial. "Brussels must not mistakenly conclude, as EU Council chief Donald Tusk hinted, that one more push will destroy Brexit. Brexit must and will happen." British foreign minister Boris Johnson resigned on Monday, following former-Brexit minister David Davis out of the cabinet just days after Prime Minister Theresa May secured a hard-won agreement from senior ministers on an EU exit strategy. "This afternoon, the Prime Minister accepted the resignation of Boris Johnson as Foreign Secretary. His replacement will be announced shortly. The Prime Minister thanks Boris for his work,” an emailed statement from May's office said.